Do The Lunar Lantern Walk This Chinese New Year! As part of Chinese New Year, 12 huge, bright, colourful, glowing animals will be scattered across Sydney to represent the zodiac- up to 10 metres tall! In Sydney Harbour, the CBD and Chinatown, some of Sydney’s most iconic locations will come to life with symbolic illuminated animals. Unfortunately the free tour by Apple Sydney is full but you can download the Sydney Culture Walks app to create your own fun, easy journey to navigate the Lunar Lanterns. We also recommend the Rickshaw Tales if you’re looking for a curated foodie tour through China Town. Jump aboard a customised rickshaw by Sydney-based Chinese Australian artist Louise Zhang and ride around Haymarket as you learn about the stories behind the food at some of the area’s most-loved snack stops. 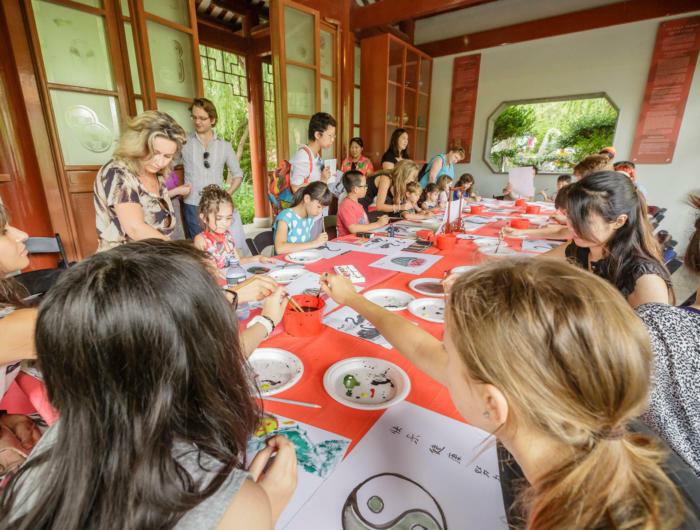 And on February 4-5 you can bring the whole family to the Rickshaw Tales: Family Program, produced in partnership with the Chinese Garden of Friendship. Your kids can decorate a life-size cardboard rickshaw with Chinese New Year motifs, and go on an artist-led story walk.